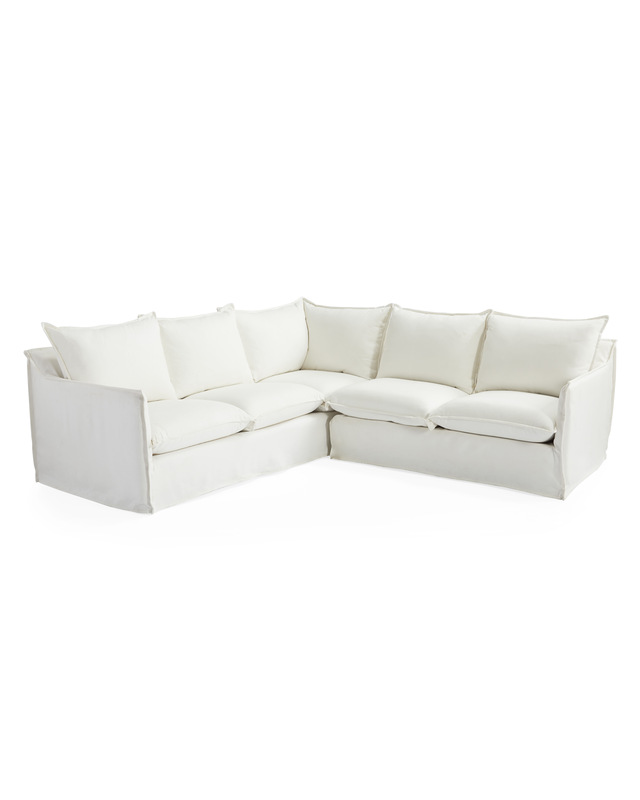 Sundial Outdoor Left-Facing SectionalSundial Outdoor Left-Facing Sectional, alt="Sundial Outdoor Left-Facing Sectional, "
Print Just like the chair that started it all, everything about the craftsmanship is focused on weathering the elements without losing a stitch of style – from the outdoor-grade birch frame to the all-weather slipcovers. Our manufacturer put this collection to the ultimate test by tossing a chair into Lake Michigan. It dried in record time without a hint of mildew or sign of distress. In fact, some say it looked even better. Durable mortise-and-tenon construction assembled with waterproof adhesive, stainless steel staples and stainless steel fasteners. Back cushions filled with recycled fiber in a waterproof ticking. 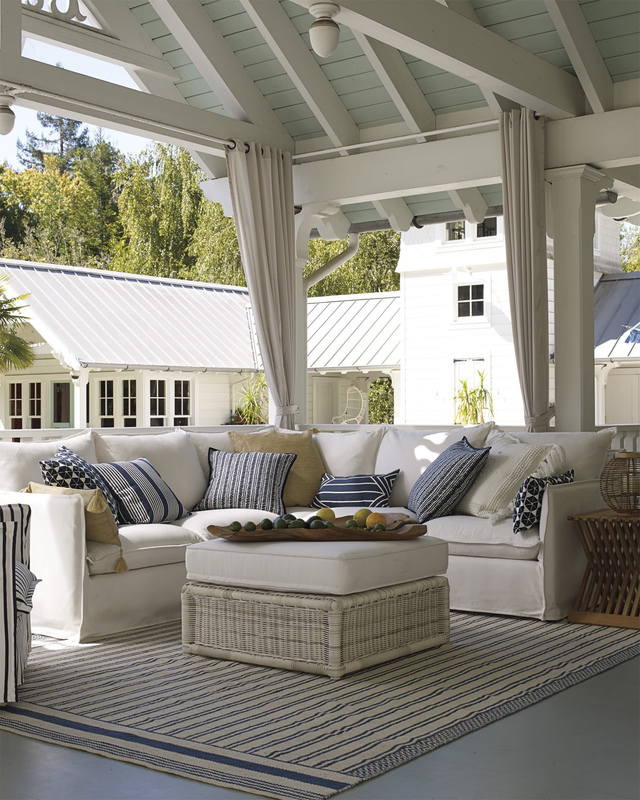 Perennials® Performance Fabric is designed to resist UV radiation, mold, mildew, and staining. 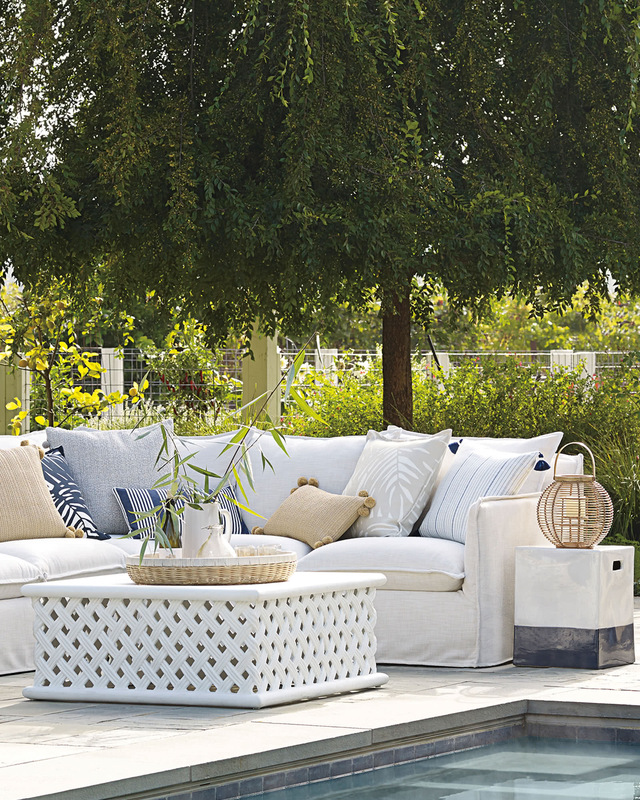 Sunbrella® all-weather slipcover is designed to repel water, resist mildew and stand up to extreme sun, heat and rain exposure without fading. 98"W x 39"D x 35”H overall.